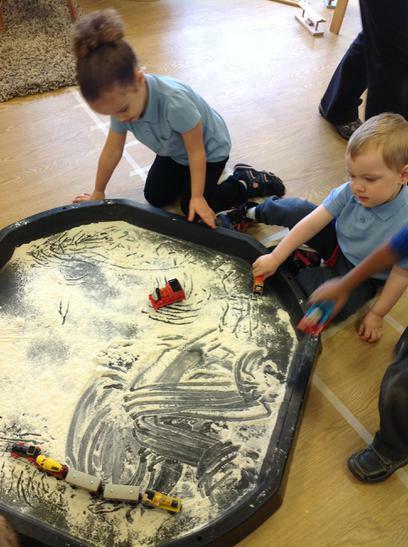 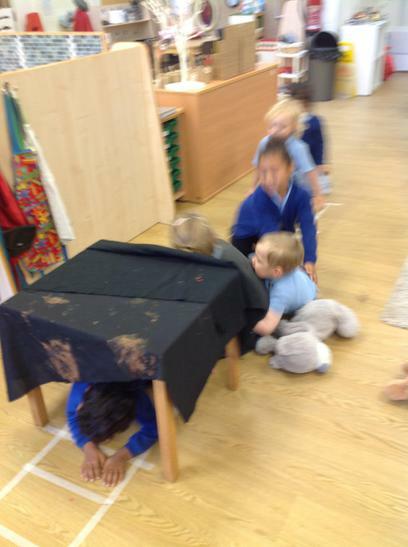 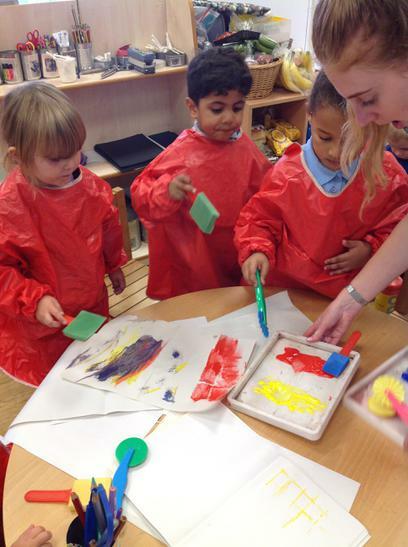 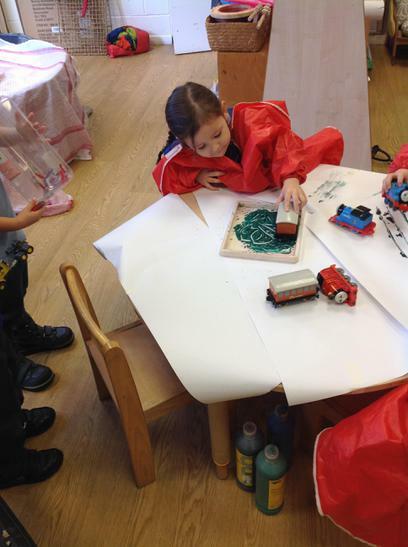 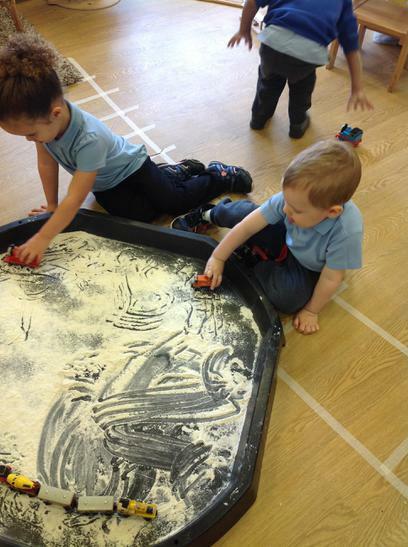 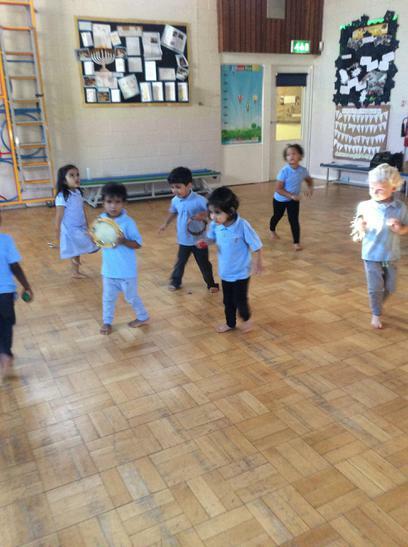 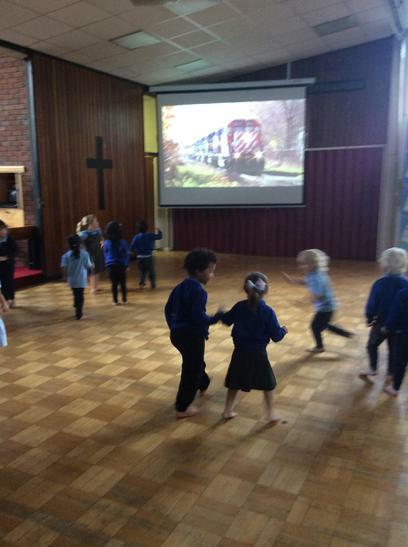 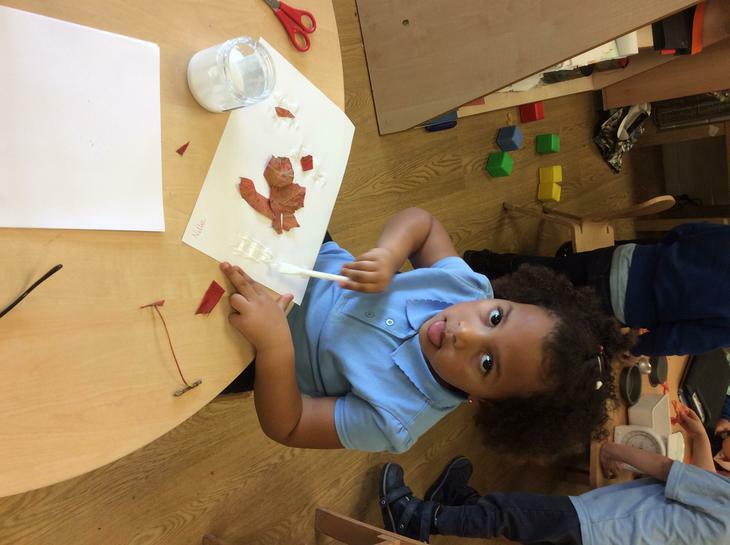 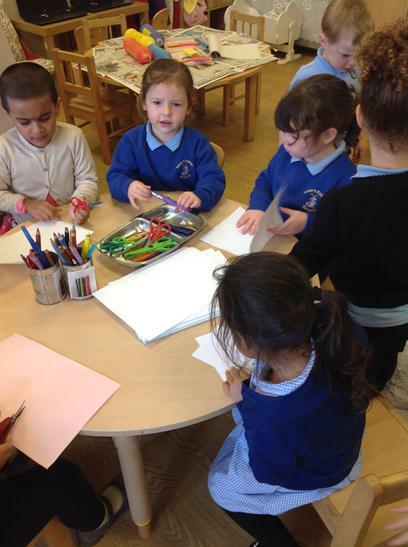 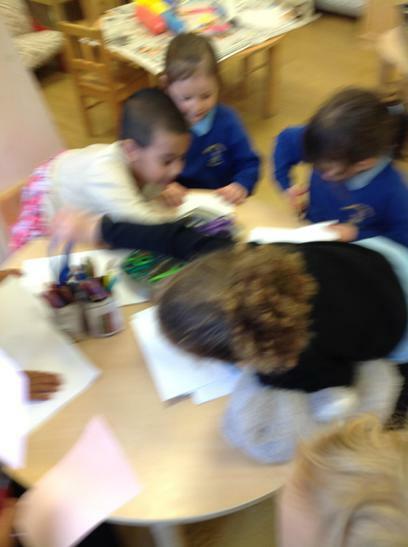 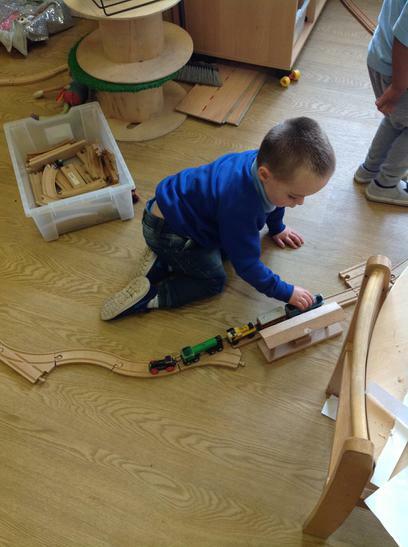 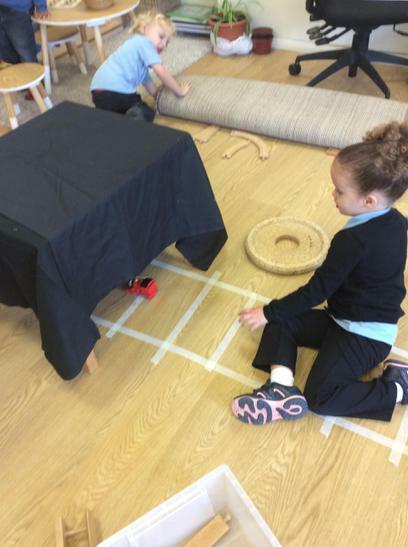 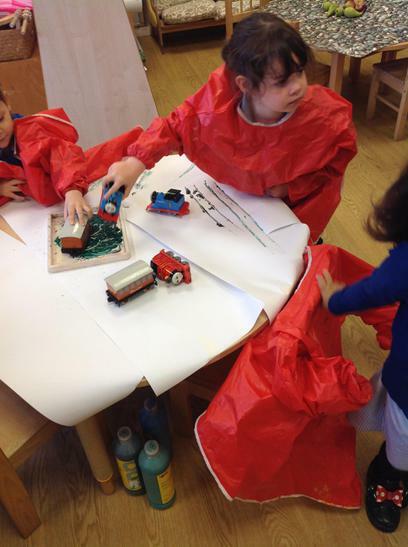 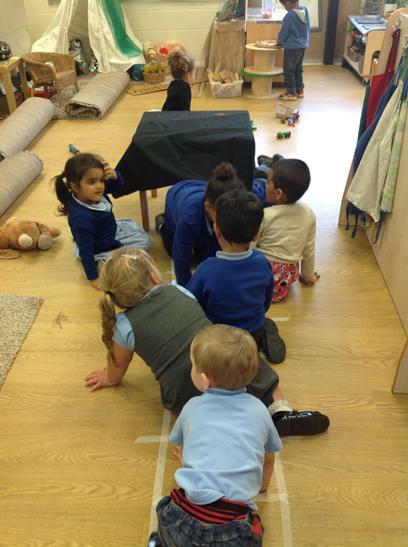 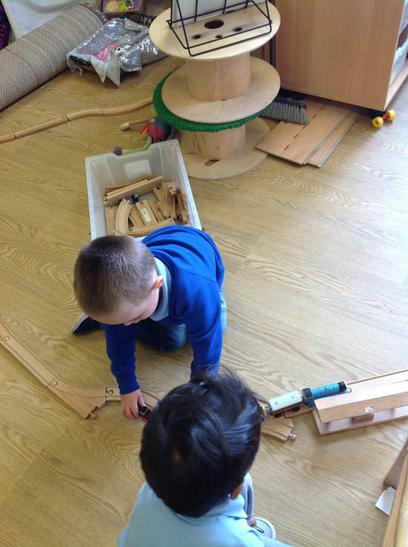 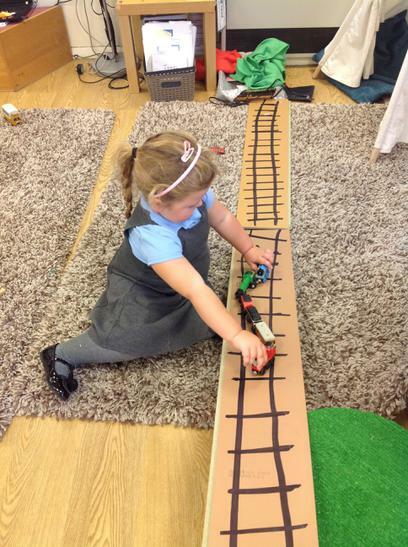 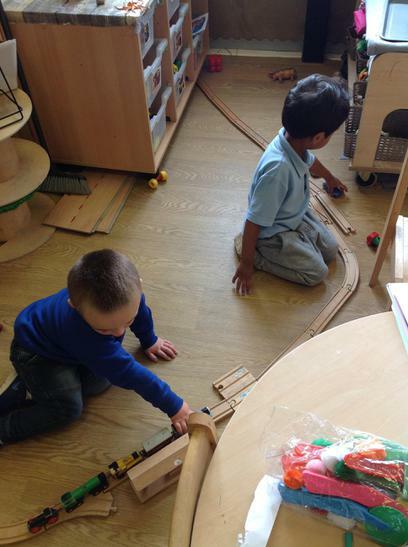 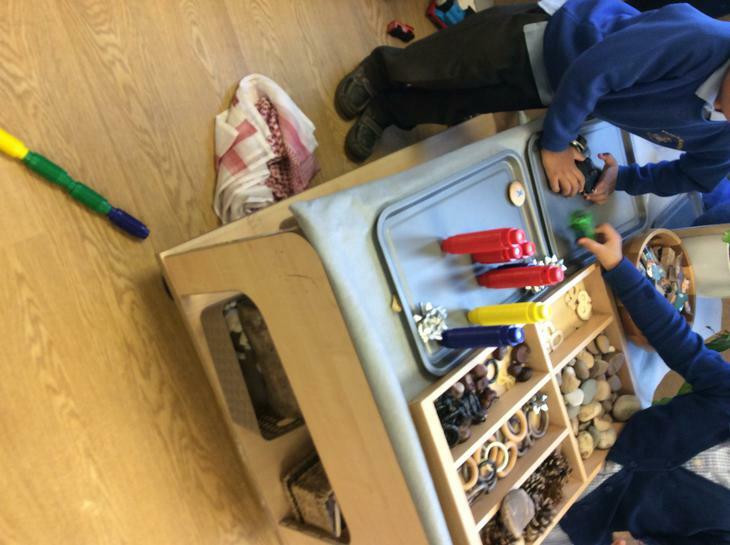 We observed that the children were interested in trains so we set up some activities. 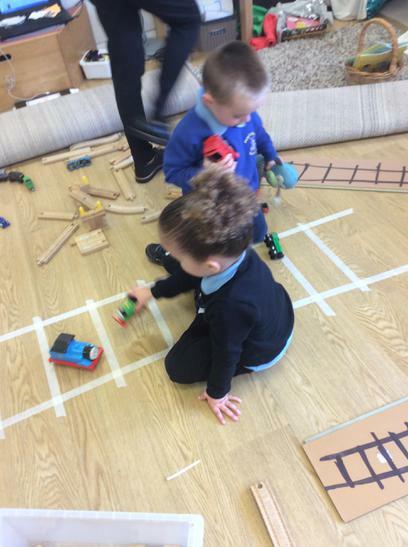 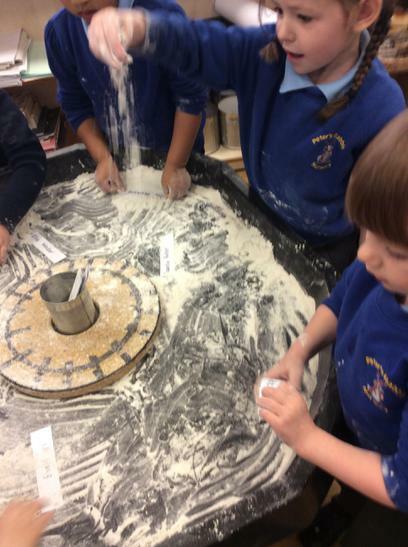 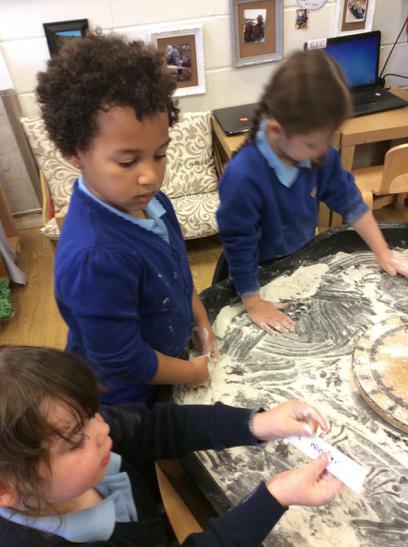 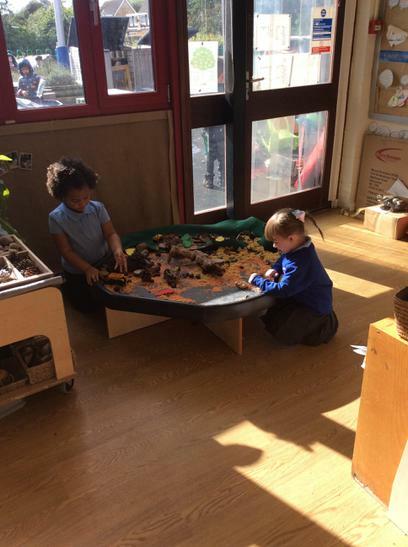 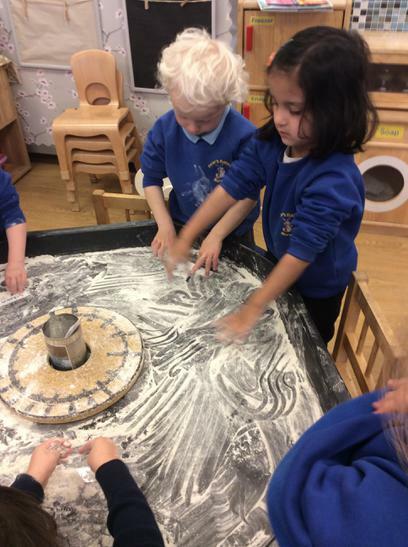 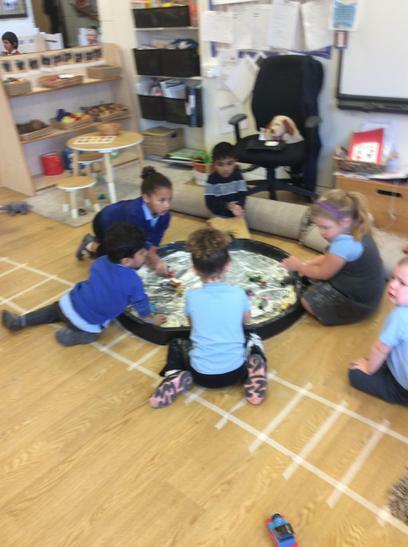 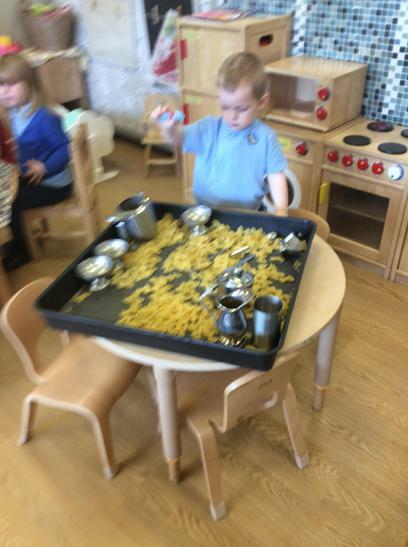 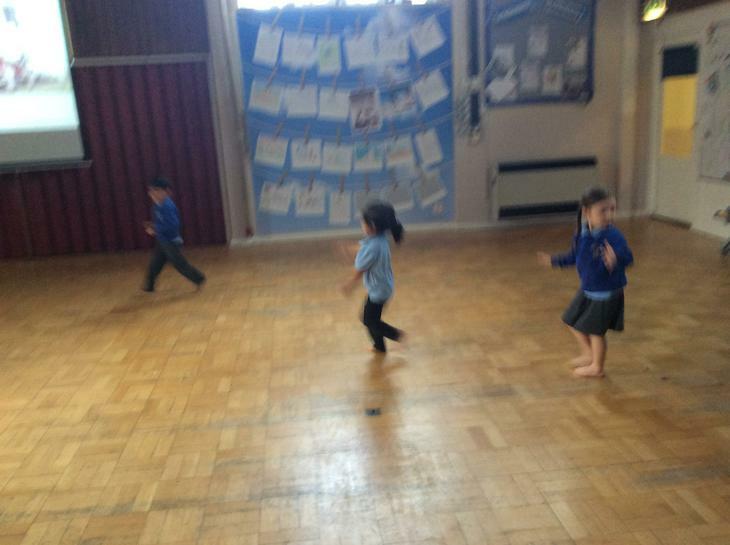 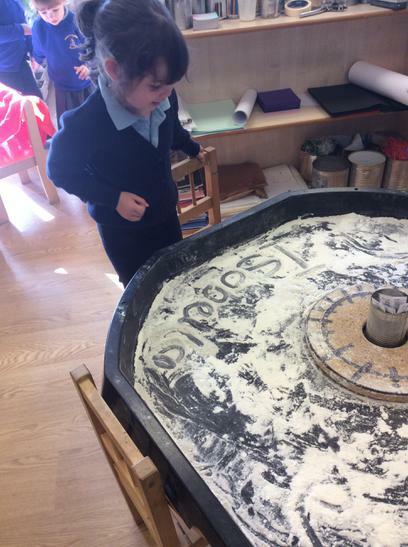 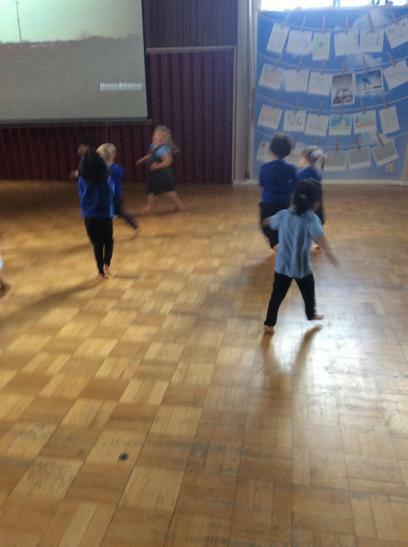 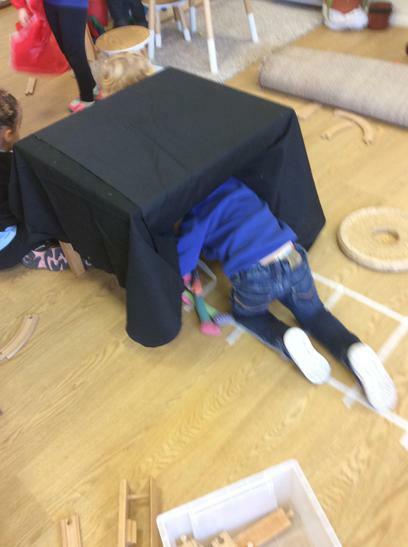 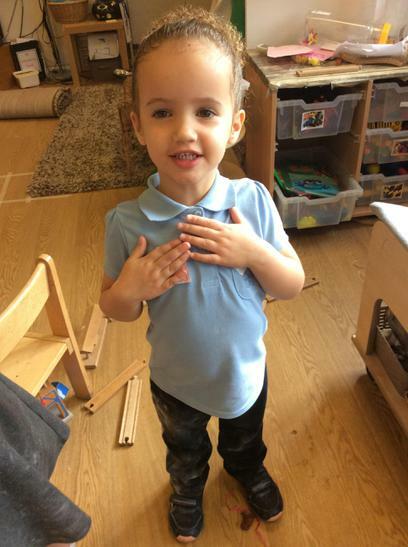 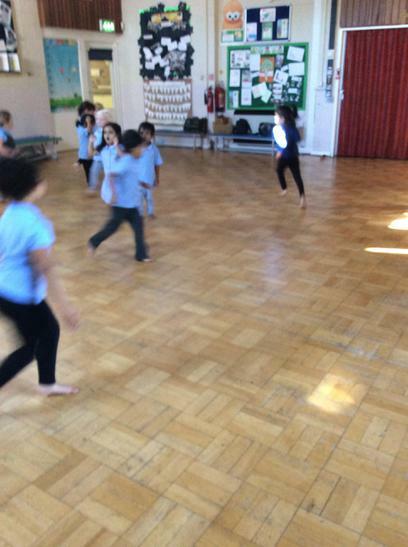 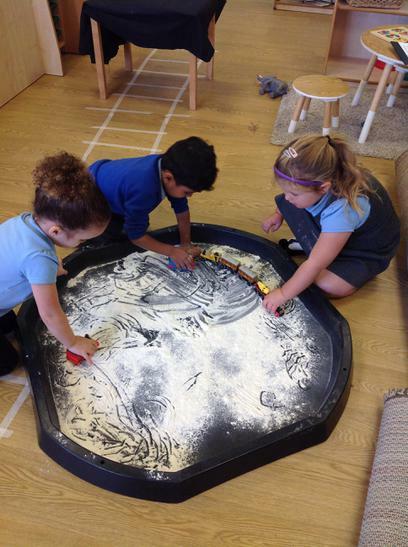 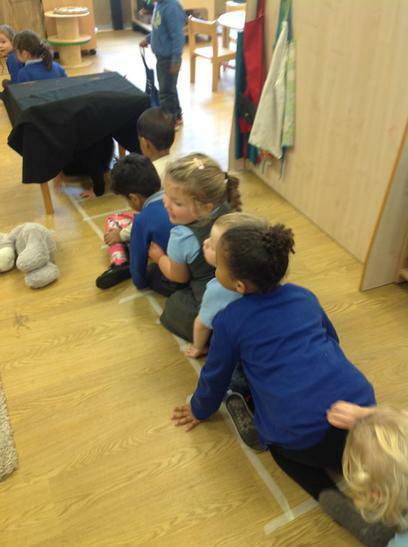 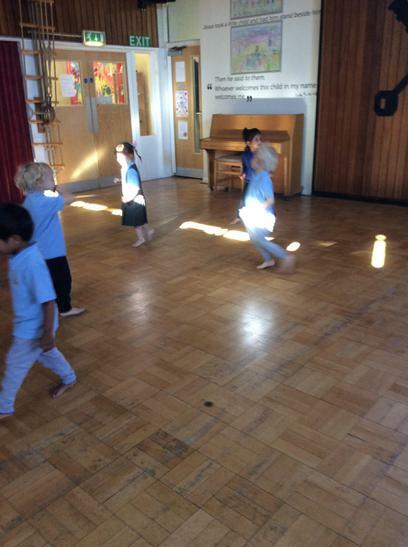 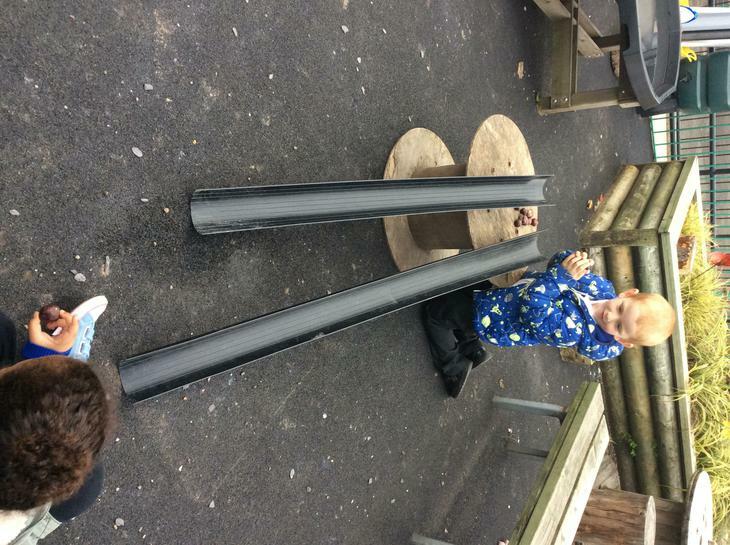 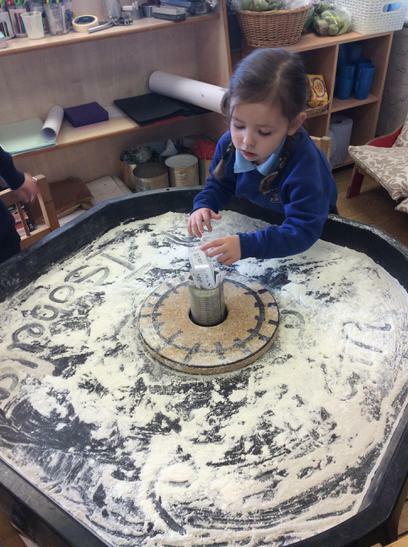 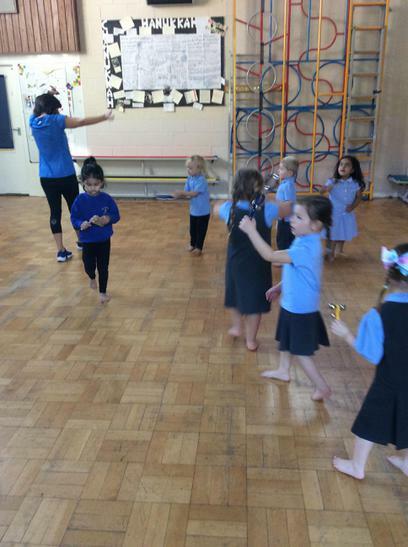 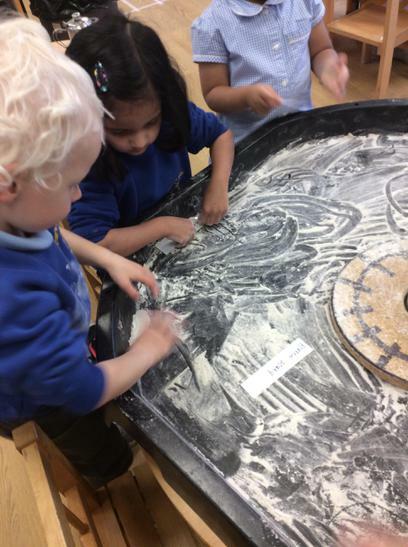 We made a train track on the floor, a train track in the flour, train track pictures, cut up some train track and in PE we pretended to be trains. 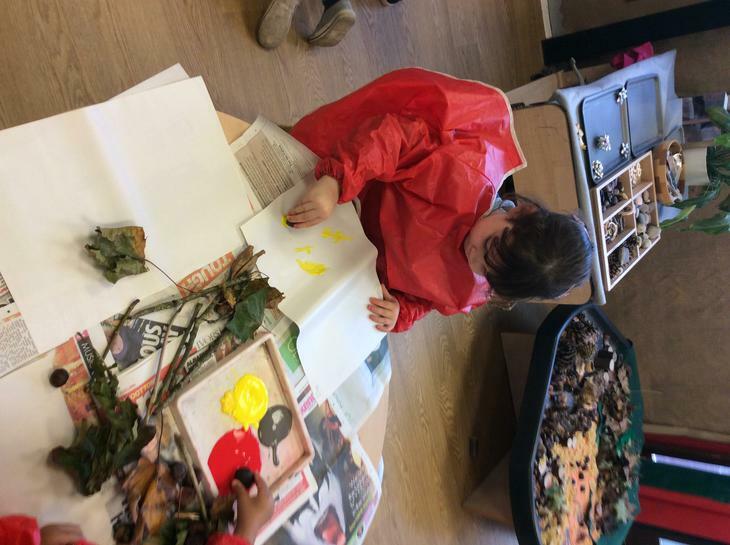 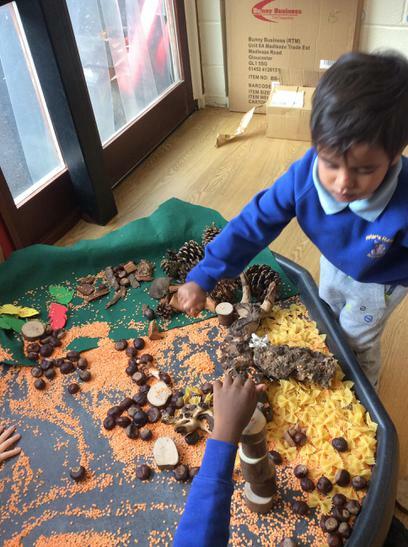 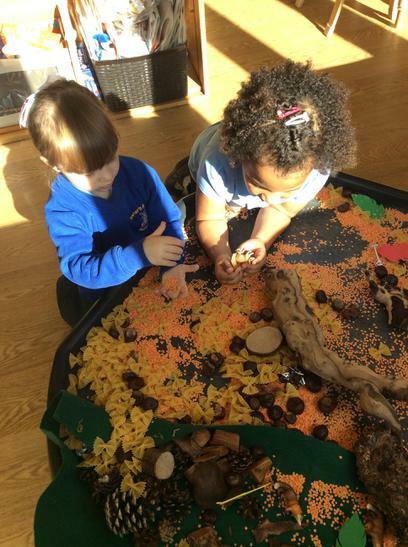 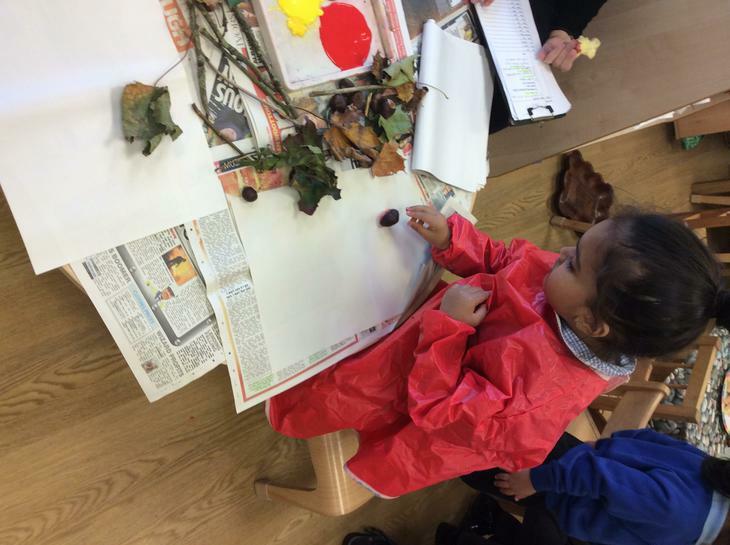 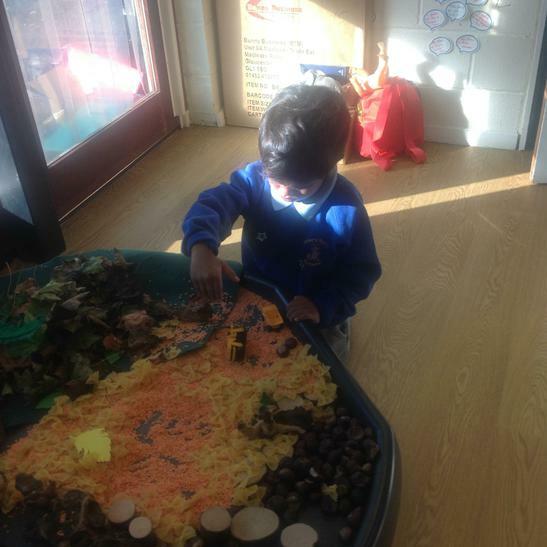 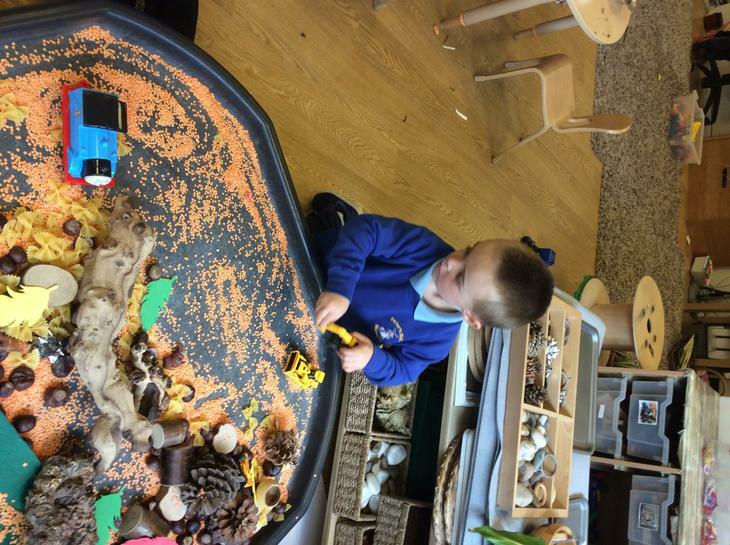 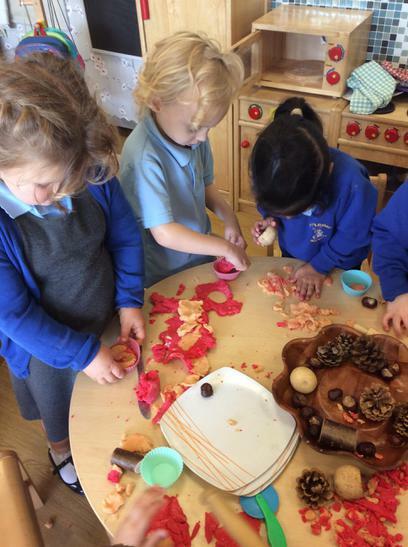 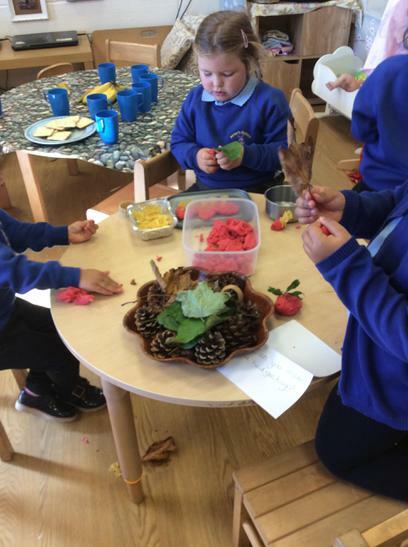 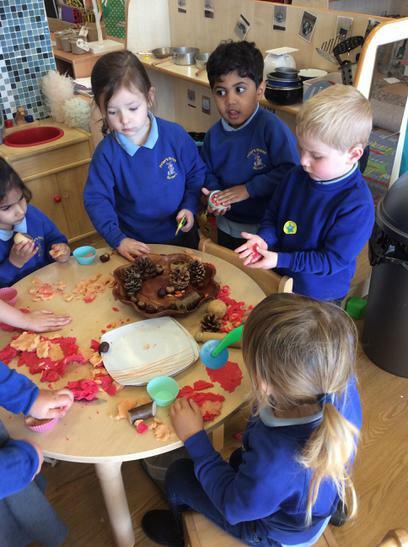 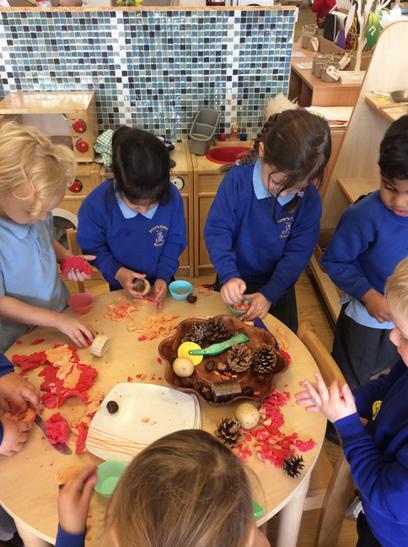 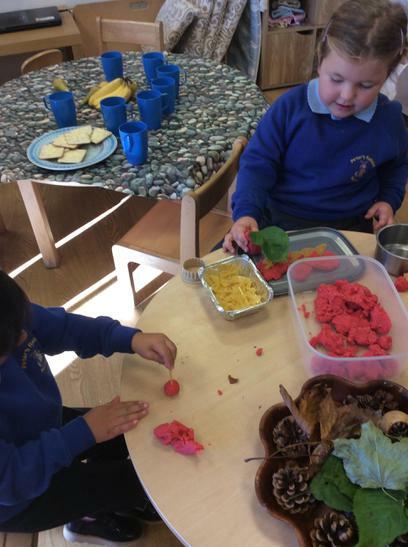 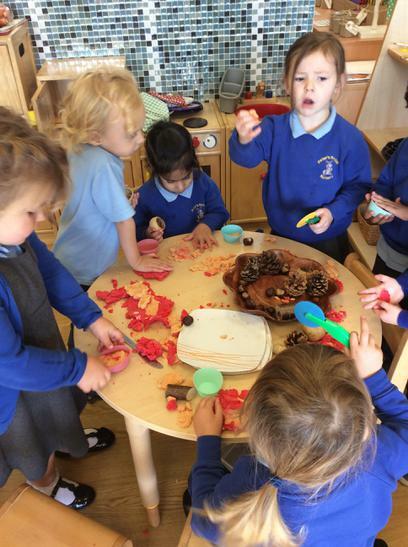 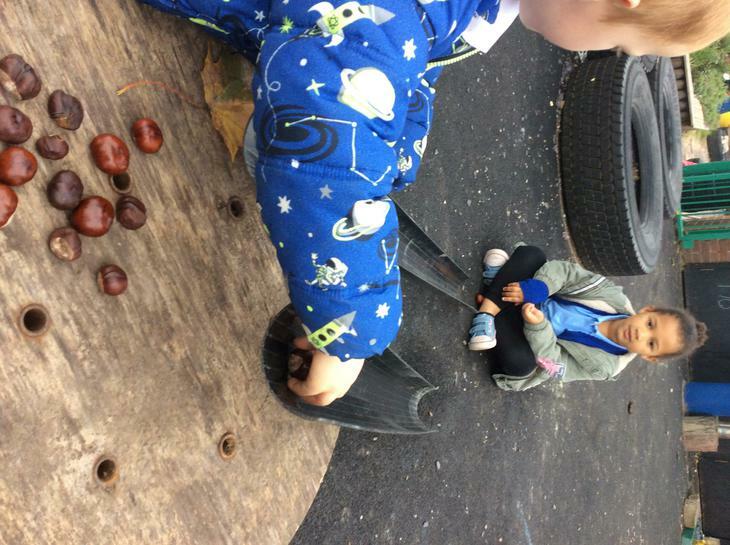 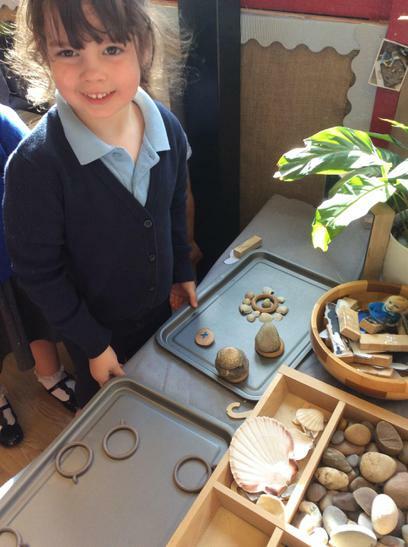 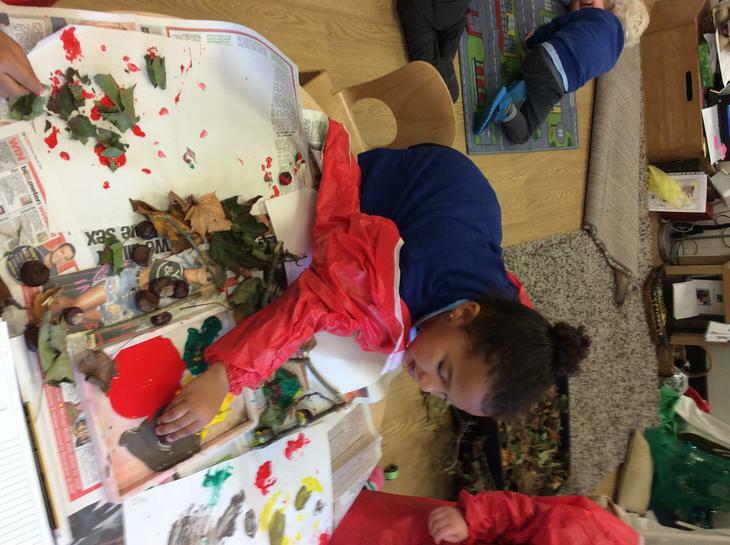 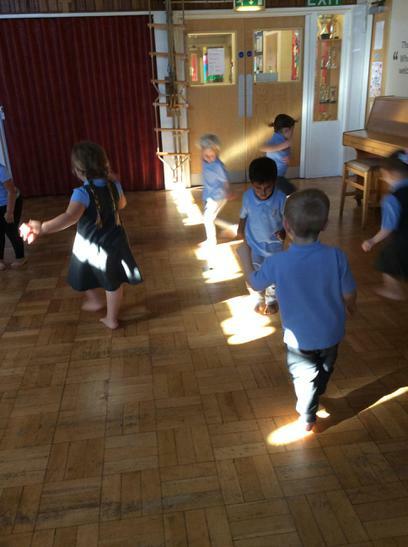 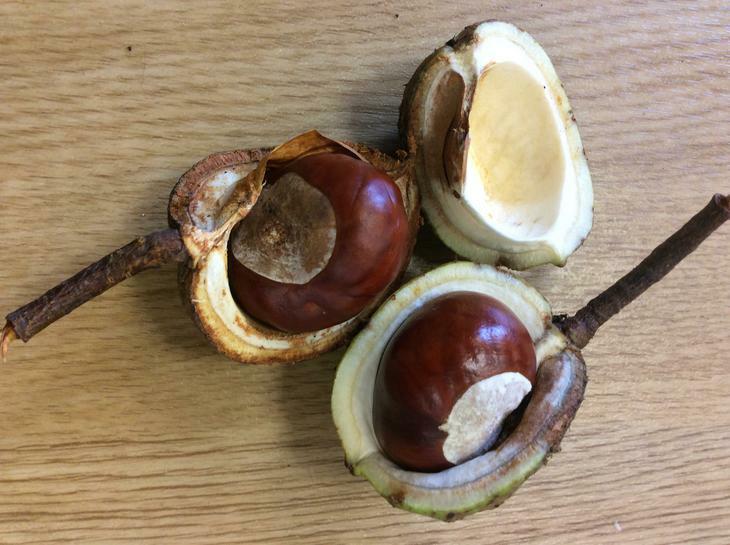 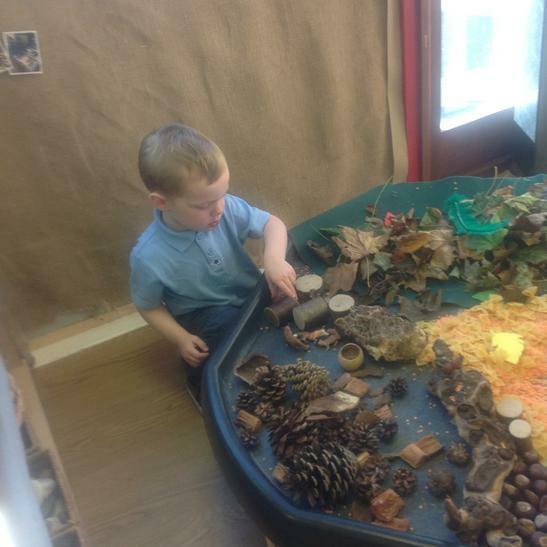 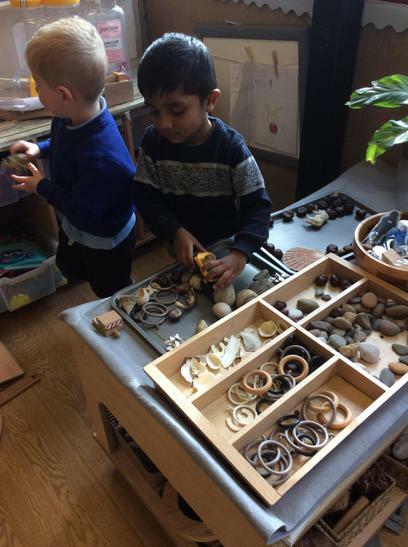 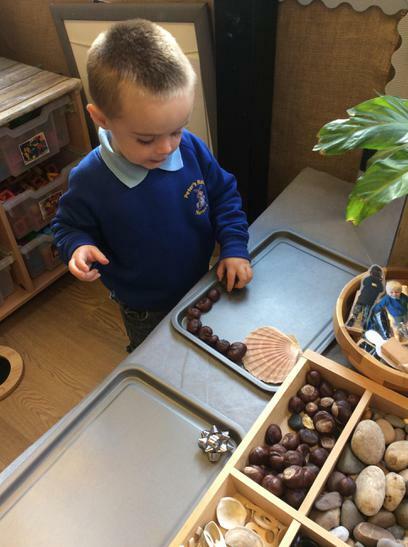 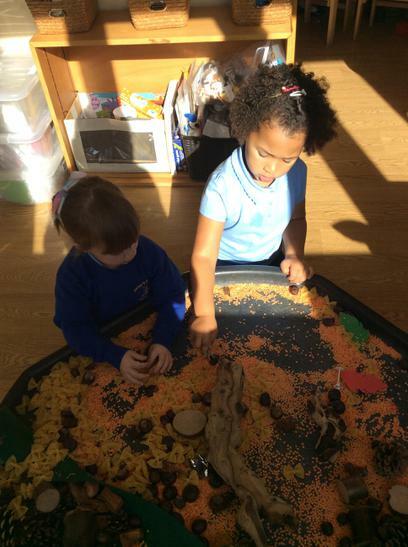 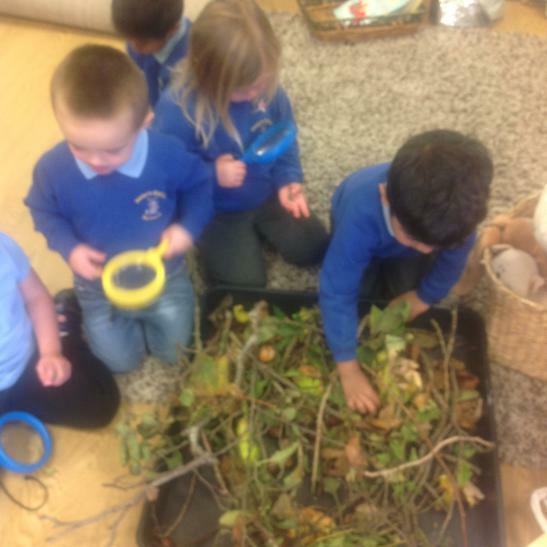 We have been exploring autumn this week. 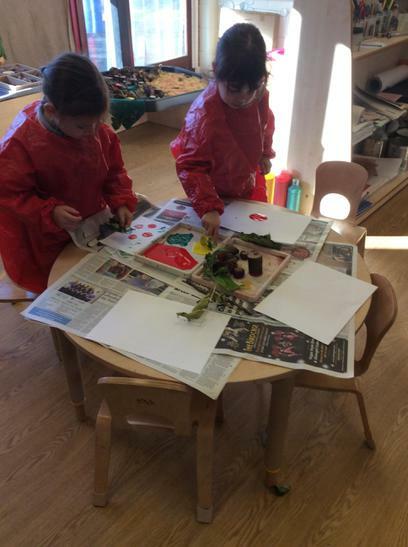 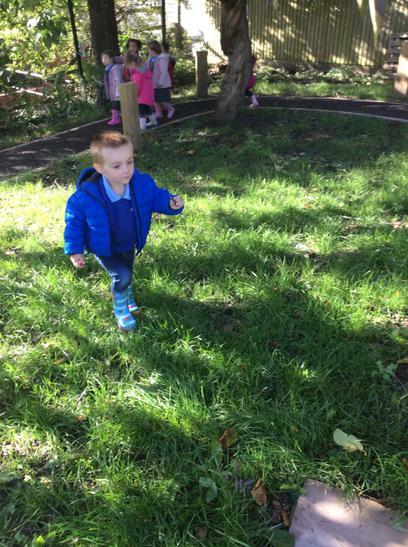 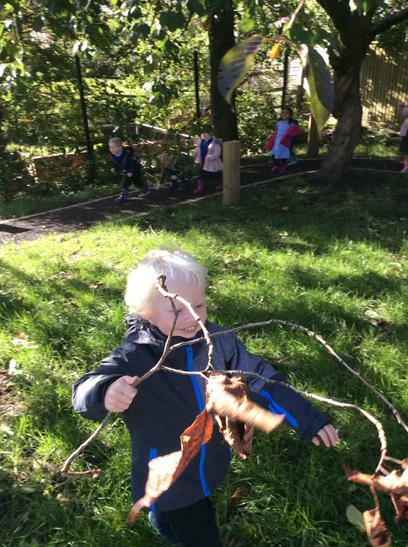 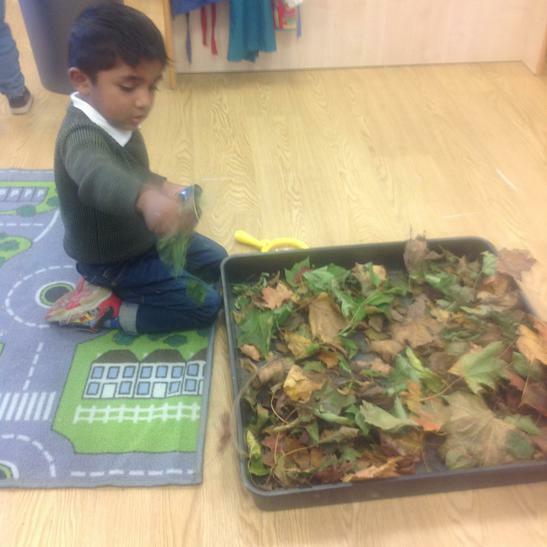 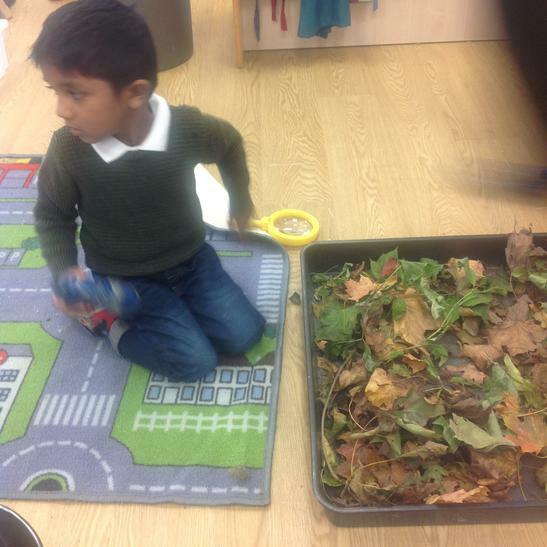 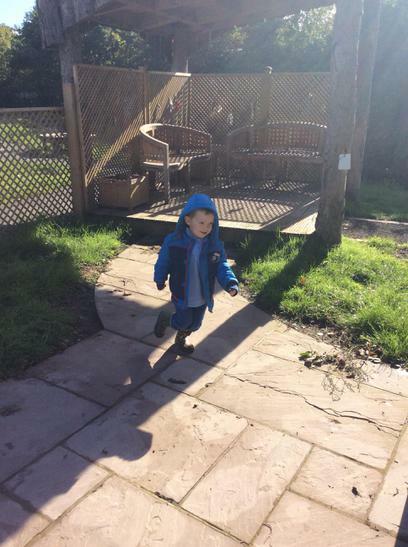 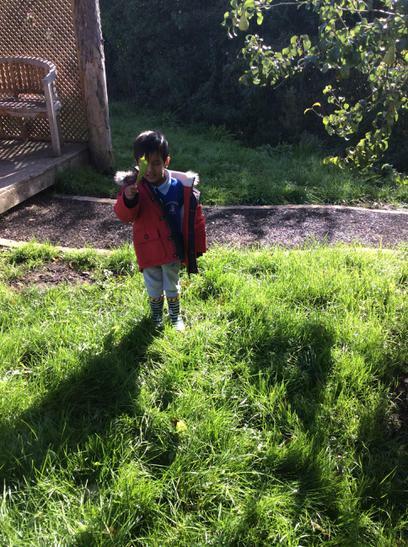 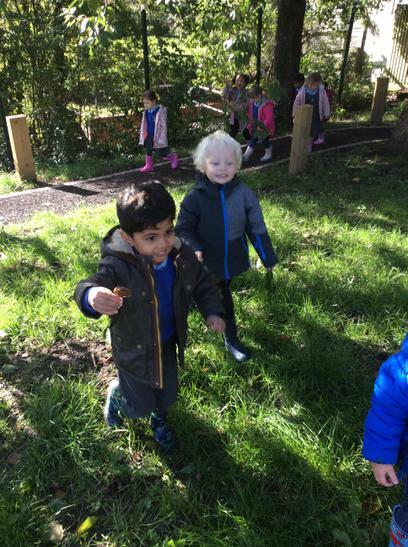 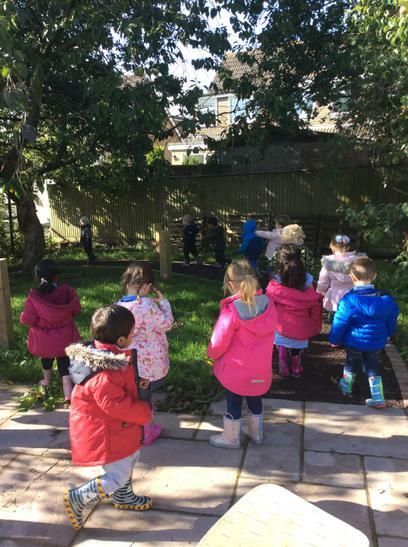 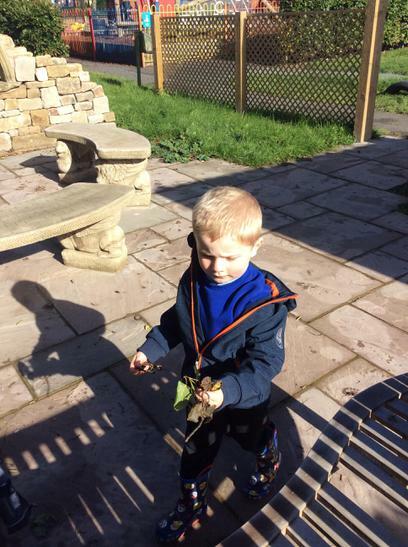 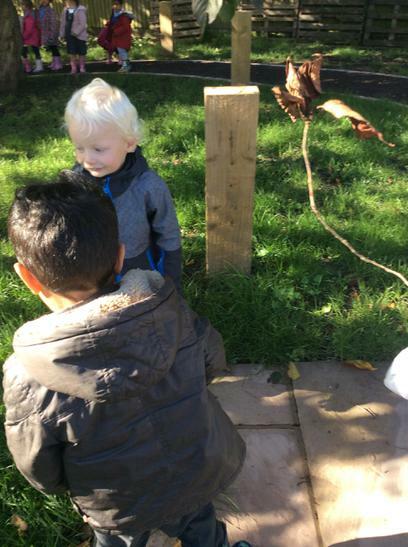 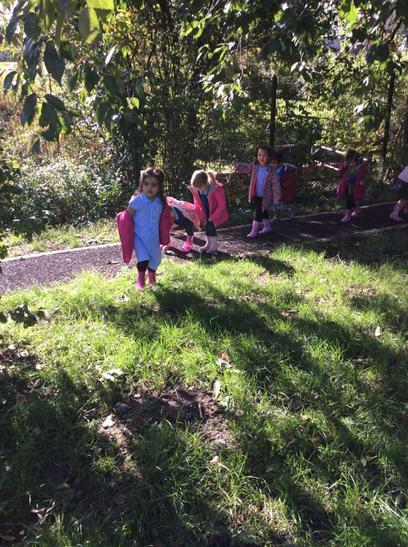 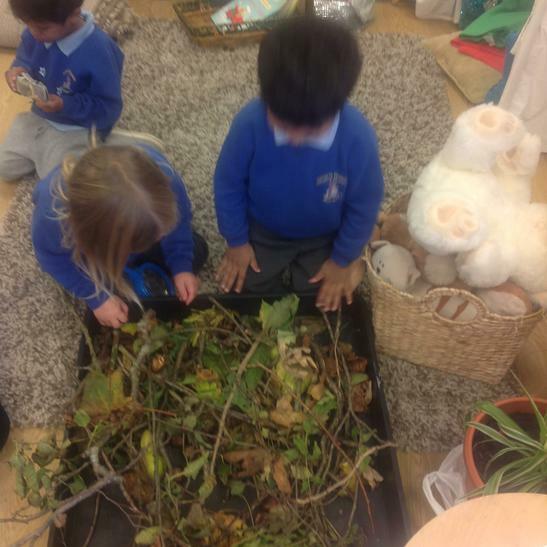 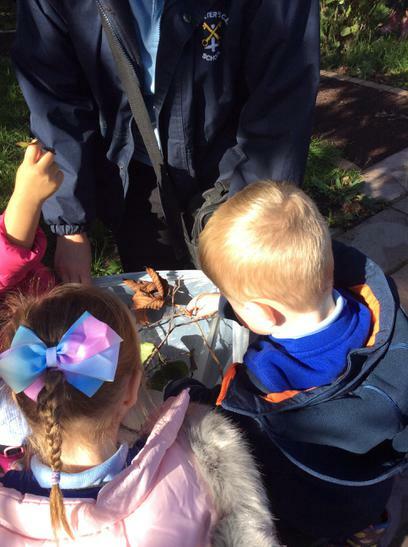 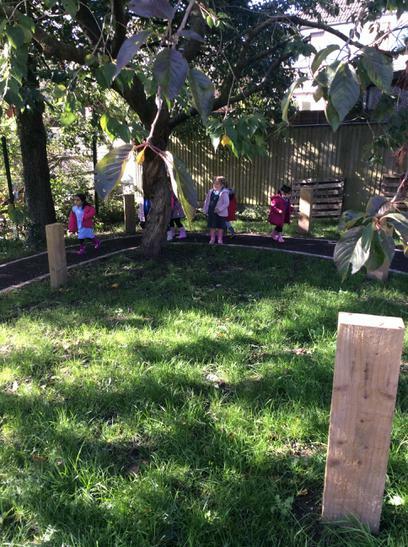 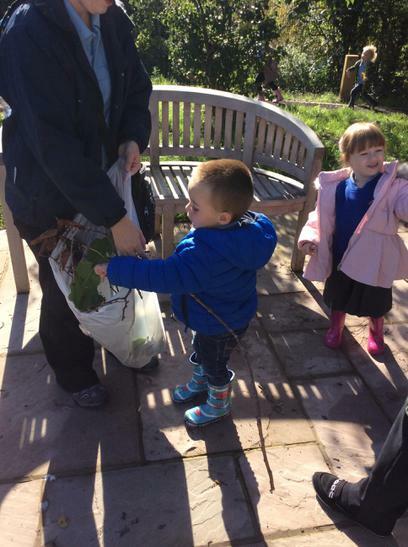 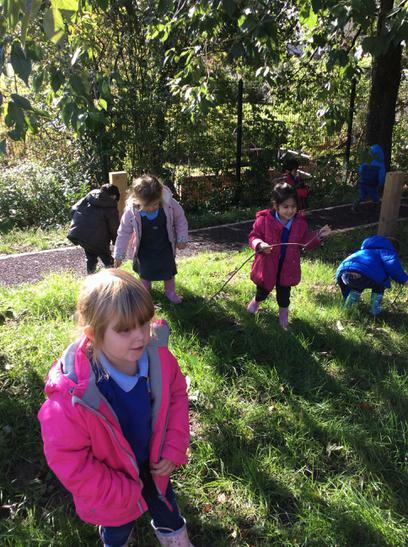 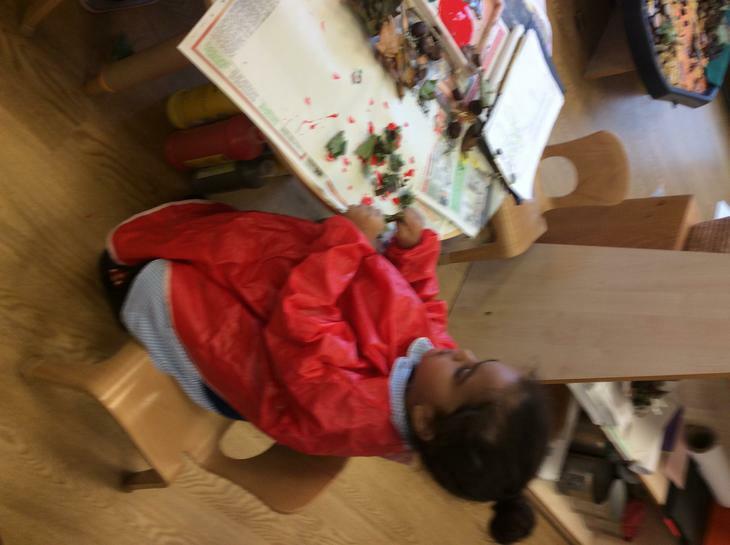 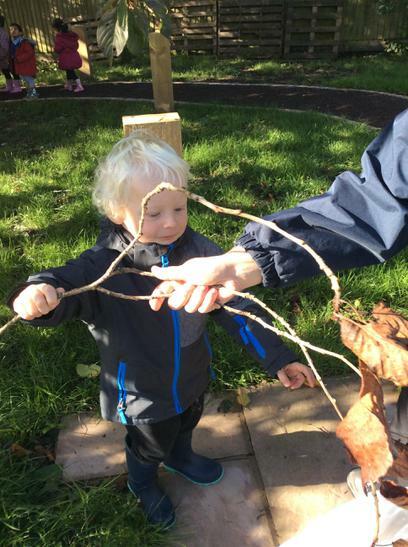 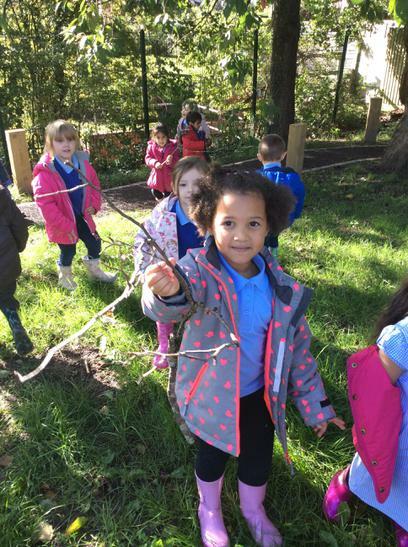 We went on an autumn walk and collected lots of leaves to use in Nursery. 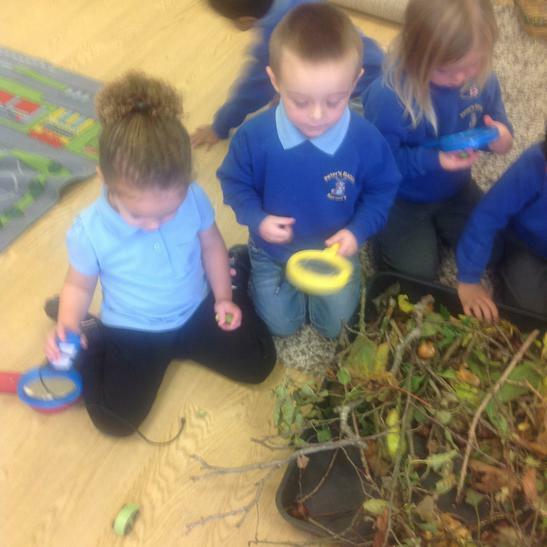 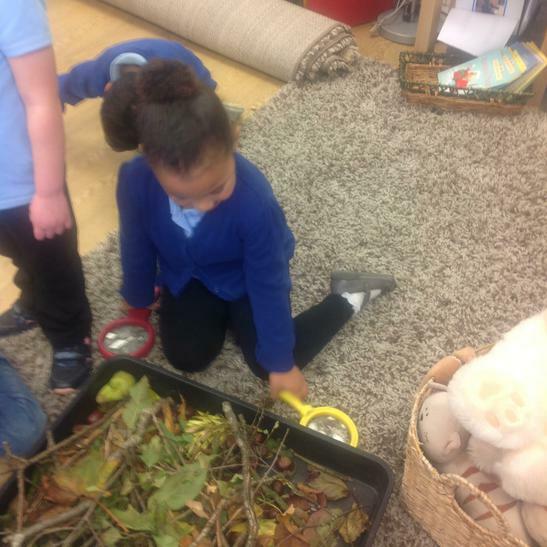 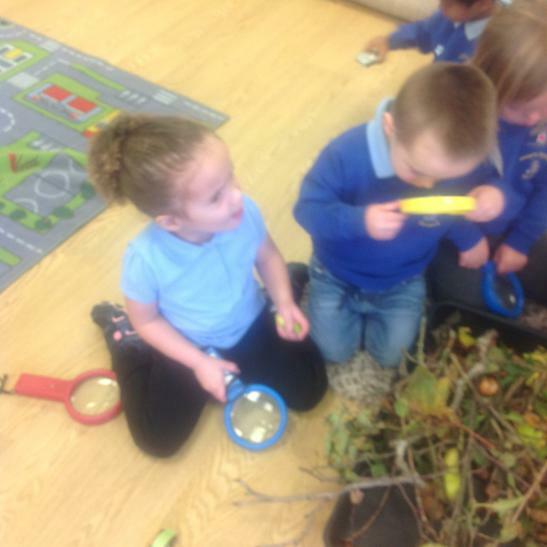 We explored the leaves using the magnifying glasses and we moved to some autumn music.